Features 6 Pushers and 7 Rivetting Stake; axle diameter at 4 mm. 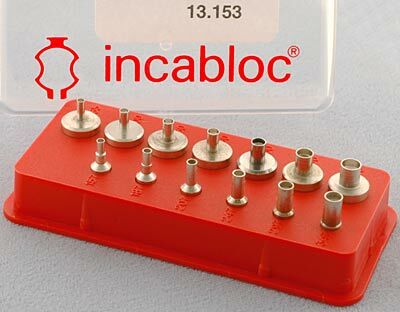 Tool used for fixing Incabloc shock-absorbers. 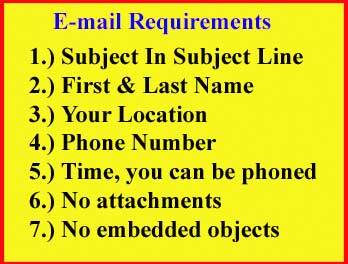 Upper for the or ETA 2836, 2801, 2804, 2750 , FM/ST 97 & 974, & Valjoux 7750. Upper spring on many as 50 ETA movements including the 2892A. This is the popular upper Incabloc spring a package of 5 might be a good idea. It you have a 2801-2, 2836-2 do not use this spring use the 176.03 instead. One complete upper setting (complete with hole jewel, cap jewel & spring) Sellita SW200-1, SW210-1, SW220-1, ETA 2801-2, 2804-2, 2824-2, 2834-2 and 2836-2. One Spring, lower Incabloc spring the ETA 2836-2. 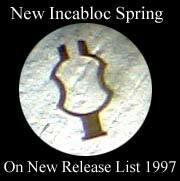 One upper Incabloc spring 170.03 this is about the most widely used of all incabloc springs. We do not know exactly when it's use in current production was discontinued and replaced by the new version. Always identify the shock system before working on it. It you have a 2801-2, 2836-2 do not use this spring use the 176.03 instead. One complete lower setting (complete with hole jewel, cap jewel & spring), Sellita SW200-1, SW210-1, SW220-1, ETA 2801-2, 2804-2, 2824-2, 2834-2 and 2836-2. One upper Incabloc spring for ETA 2836-2. This is a very popular upper Incabloc spring a package of 5 might be a good idea. 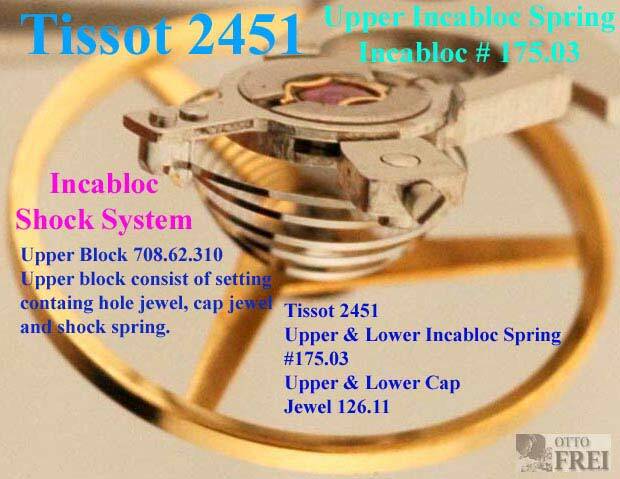 One Incabloc spring for Tissot 2451. The same shock spring is used on both the upper and lower shock setting. 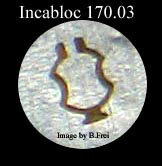 Five Incabloc springs number 175.03. This spring is used on both the upper an lower shock system on the Tissot 2451. One complete upper setting (complete with hole jewel, cap jewel & spring). 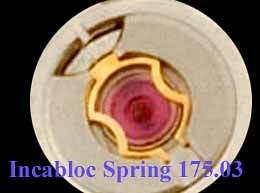 One lower Incabloc spring for FM/ST 97, 974, and Valjoux 7750. One upper Incabloc spring for FM/ST 97 & 974.